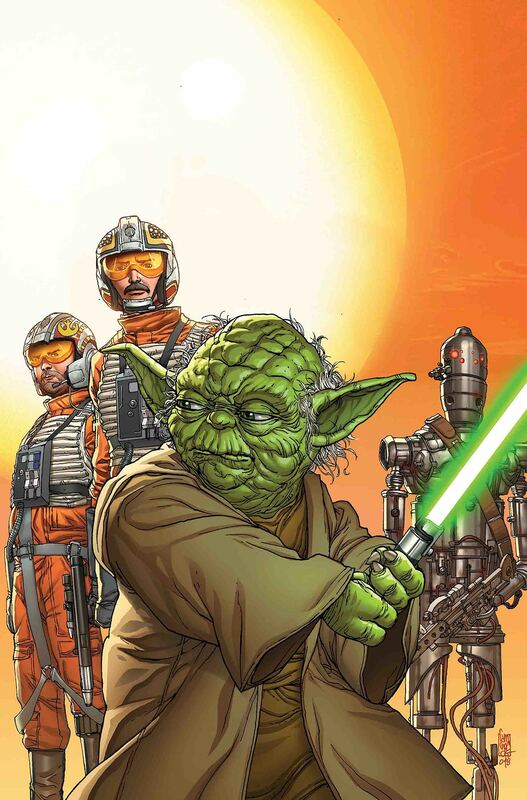 Marvel Preview: Star Wars: Age Of Rebellion Special #1 – AiPT! Move over, Boba Fett. The most dangerous bounty hunter in the galaxy isn’t who you think. The cold, calculating assassin droid IG-88 had a deadly reputation. Wanted criminals should tremble in fear because IG-88 will stop at nothing to get the job done. But where did it come from? What does it want? Perfection might be a good place to start. SI SPURRIER (DOCTOR APHRA) and CASPAR WIJNGAARD (DOCTOR APHRA ANNUAL) bring the terrifying droid to life! The destruction of the Order, the death of his friends, exile – no matter what he has endured, YODA will always be a Jedi. Even in hiding on the isolated planet of Dagobah, far from the evil Empire’s reach, a Jedi’s work is never done. Marc Guggenheim (X-MEN GOLD) and ANDREA BROCCARDO (STAR WARS) will pay the wise, old master a visit! The freedom-fighting REBEL ALLIANCE has more than its fair share of heroes – like ace pilots BIGGS DARKLIGHTER and JEK PORKINS. But they’ve been fighting the evil Galactic Empire for a long time and sometimes, even noble warriors like Biggs and Porkins need a little rest and relaxation. Is anywhere truly free from the trials of the galactic conflict? Writer and illustrator JON ADAMS (the New Yorker, LOVE ROMANCES) has the answer!